Over the years, I’ve reported on several brands of headphones that promise to deliver 3D surround sound. 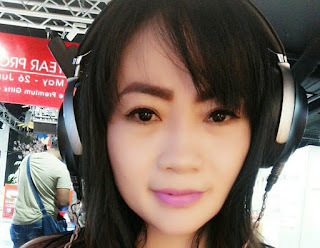 They manage that trick by incorporating a proprietary audio processing chip into the design of the ear cups, the connecting cable or in a separate device that must be plugged into the sound source. Deported Radio, however, takes a different route to get to 3D audio. It uses the power of its servers to break the sound into multiple channels before it reaches the listener. That approach is independent of the actual headphones, so its developers say it will work with any headphones or earbuds. The site uses a (DSP) Digital Signal Processing analysis of a stereo recording to parse individual sounds. The signal is then repositioned into a five-channel field and output at 320 kilobits per second. The site offers a variety of channels featuring music assembled or created by contributing global DJs such as Ice Demon, Zamara and Sataneal. To get a sample of a new brand of surround sound, plug into the Deported Radio website.